More than 20 wonderful years in business! Over 1900 happy couples have used our services. Please call for flexible weekday and weekend rates. One stop for most of your wedding needs. Rental arch etc. Serving all of South Jersey. Your choice of location . Beach , Hall , House. Chapel, Etc. Also performing Boat Christenings and Re-naming . Est.1998. Credit cards and PayPal also accepted Rental Arch and Bamboo Arbor etc. Performing beautiful ceremonies since 1998. Trusted by all New Jersey registrars. 5 Star ratings on several well known wedding sites. ** Members Of Cape May City and Long Beach Island NJ Chamber of Commerce. * Any size wedding . * Reasonable weekday and weekend rates. If choosing JOP or elopement style ceremony , please let us know if you will need the 2 witnesses required by NJ law on your date . Justice of peace style weddings Monday through Thursday special rates. [ Based on availability ]. 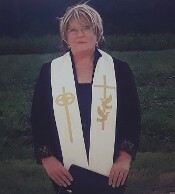 ** Ministry embriodered white wedding stole is worn by request. Prices vary and are reasonable rates. Please call Or , reach us by calling or using the "Contact us" link at the top of the Arch in the picture above. Please include your phone number and best time to reach you . Keep in mind Our information is all here for you, but we know nothing about you and the type of ceremony you'd like , so a phone call is very important to us.Thank you. CHAPEL - Please Ask about the Little White Chapel , available for donation. RENTALS - Added value savings when renting our Bamboo or white Rental arches pictured below and on Photo's page .
" We are based in South Jersey and travel exit 90 to exit 0 of Parkway and surrounding areas and are on registrar lists in Atlantic ,Camden ,Cape May , Gloucester,and Ocean counties etc. Towns from exit 90 to exit 0 of New Jersey Garden State Parkway .Tom's River to Cape May. Jim has climbed the the Light House 's in Lower Township [ Cape May ] and Barnegat. Please scroll to the top of this page and click on our "about " page for more personal info about Linda and Jim. Also our " contact " page can be found there. Thank you ! 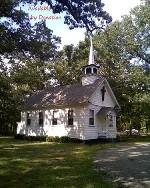 Small , charming ,1890's Chapel available by donation Near Atlantic City airport. (Bamboo rental arch pictured above or White arch pictured to the right. Anyone booking 6 months or more in advance will receive free unity items stated . * 10 0z. jar with lid, made in USA with 2 colors of sand. Includes use of my table. Sea Shell blessing or Candle unity also available . *** Deposit and contract required to secure your date. IMPORTANT LICENSE NOTE: If you do not live in NJ, you must apply for your license in the town you will be married. You may apply up to 6 months before your date , it takes 72 hours to prepare. Please contact the registrar in the town you will be holding your ceremony for an appointment. If you live in Nj , you must apply in the town where you live and bring the license with you on the wedding day . DO NOT fill in any blanks . This must be done by your officiant. Hire a Professional ! This is your wedding day . The start of your new life . 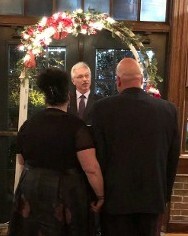 Why go to a Justice of the peace or a mayor for a " Cattle call " wedding in the same room with people paying trffic tickets and more ,when you can hire a professional officiant ? As officiant we will make sure your ceremony is the beautiful , sentimental day you deserve. If you have 4 people or 400, It's your special day !!! We have been receiving several calls from couples looking for "someone who knows what they are doing " because they have been to many bad internet minister ceremonies . Some people even buy robes and collars and call themselves Reverend ! This too is an issue with the registrars of towns not receiving your important paperwork filled out properly and in the allotted number of days. We also receive many frantic last minute calls every season , from couples who have asked the wrong people to perform their ceremony . For your wedding day you are interviewing someone to perform a very special event. It is the beginning of the rest of your new lives together. There is more to a ceremony than just reading a few words in front of people . Ceremony coordination is just as important . This is why we speak to everyone who contacts us instead of just sending a price sheet.It's too late when you are standing at the altar and realize the person performing your ceremony has no clue what they are doing . This creates problems for the photographers and Dj and well , because they are trying to get the ceremony in order intead of doing the job you hired them for . No add on hidden fees. Often officiants will quote a price and then start adding on travel fee's and fee's for reading the unity ceremony etc.. It all becomes confusing and starts adding up.. When I quote that is the price. You may purchase extras listed on my contract if you like . Example : Arch rental , proffessional battery powered speaker and microphone sand or candle unity items. I'm sure you will find our prices quite reasonable. There are many variables in performing a wedding ceremony. I prefer to speak with you to see all that is required before quoting a price. I'm sure you'd like to speak with your officiant as well before choosing someone to perform such an important service. Named " The Angel of Love" by friends and couples, I am legally licensed and have been Performing Non- Denominational Wedding Ceremonies since 1998. I have been in the wedding business as a consultant since 1988. The service can be as short or long as you'd like. A lovely Civil or religious service . How about a renewal of vows ? Sand or candle unity? I have all the items you need listed on my contract or you may provide your own. I'd like your wedding to be the day of your dreams! I treat every couple the way I would like my own son or daughter to be attended on their wedding day. I am always just an email, phone call or text away if you need help with planning . I really enjoy the wedding business ! As a little girl I loved to play "Bride dress up" making bridal tiaras from 1960's rhinestone bracelets!! Ha ha .. Little did I know I would grow up to make real bridal headpieces. I was first employed as a tour guide where I learned to speak clearly and handle large groups of people. I then became a consultant in Bridal Sales, alterations and custom designed wedding veils . [ I still restore antique and family heirloom headpieces ] It's not unusual to find me [ Linda] in the bridal room lacing up bridesmaid dresses or helping the bride. I dress appropriately in either a suit or, summer dress if the bride/groom requests casual attire. Please click on the " About " link above left of Arch pictured at the top of this page to read about Jim and Linda's background in the wedding business. If you prefer a man to officiate , My husband Jim Moore received his clergy license in 2007, and is also doing a wonderful job. I have been getting great reviews from brides and grooms about Jim's ceremonies. [ Of course! I have shown him everything I know ! lol, wink .] Please see testimonial page . Officiating a ceremony is an honor and an important job ! Please be sure to hire a professional officiate/ celebrant who knows how to fill out and file your paper work properly. Many registrars will only allow a legally licensed proffessional to file your paper work. Mistakes on the legal document cause delays with the certificate of marriage. All of our paperwork is filed promptly and with correct information. Hire Local -We work from two locations. 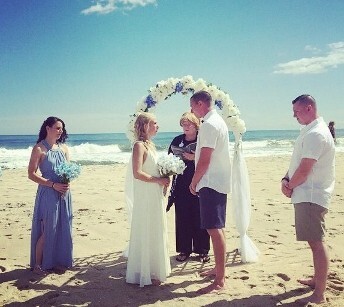 I see many officiants from New York and Pennsylvania advertising they will perform beach weddings in Southern New Jersey.. In summer traffic that may not be such a great idea. That is why we decided on our North Cape May residence which is also 10 minutes from Wildwood Nj, as well as our home near Atlantic City that is about 20 minutes from Brigantine, and Ocean City , and 25 minutes from LBI exit . It was a great move for us . We travel to area's in a 70 mile radius of Atlantic City. I Love beach weddings, home or hall. Winter weddings are beautiful and a great idea in Cape May where all the Victorian BnB's are decorated for the Holidays! Rental Items *Added value savings. We also have decorated Bambo or white wedding arch, silk flower arrangements and tiki torches. My arch has been properly maintained and looks as pictured above . I have seen a few bamboo arches from florisits that are not as nice. Some are skinny bamboo that sways in the wind , others have started to decay and split. That is why I bought one of my own so I could provide good quality for my weddings. I offer this as a convenience to my couples.Many come from out of town and need reliable professionals for their wedding and have no idea who to call. As officiant, my main concern is your ceremony . I connect you with people I have known and worked with for many years who have good reputations, talent and expertise. Please call, text or use my contact page to reach me. It's easy ! I'll email a contract with all the information. Just send it back with the deposit to secure your date and your ceremonies are on the way !. We accept checks , money orders, credit cards and paypal. Final cash payment is not due until the wedding day, or by Check/credit card 10 days before. I will send several ceremonies once the deposit is received. You may use one the way it is written or make changes if you like. We love performing wedding ceremonies . Often our couples would like extra decorative items so we started offering a few rental items at a much better rate than other rental companies. Please keep in mind , your date is not secured untill we recieve the rquired contract and deposit. 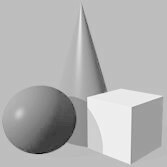 **Create your own Package. Rate can include ceremony , rental items , and unity items . Checks, Money orders, credit or debit cards,Paypal and Go fund me accepted for your convenience. Thank you for Choosing Linda or Jim to perform your ceremony . Filing of completed marriage license..
MY RATES are REASONABLE because,,,,,,#1- I love what I do. #2-I am happy to devote a day to unite a couple in love. Remember,, It's more than "just a half hour of the day." Your ceremony is sacred and the person performing it will become someone on which you are depending . You will have much communication , I look forward to being that person. ** Toms River , Seaside , Long Beach Island , Deptford area , Egg harbor Township. [EHT ] Manahawkin , Margate , Ventnor , Ocean City and south to Avalon , Stone Harbor , Wildwood , and Cape May.